The Red Alert, developed by the mod team of C&C Labs (makes of The Forgotten and C&C All Stars, undertakes one of the most ambitious tasks in C&C modding: to recreate and improve upon an original game. The mod, in development for Red Alert 3, is based off the original Red Alert's art and game play. Not aiming to model realism, it instead endeavors to bring the addictive heart-pounding game play of the classic to a world-class 3D engine, to bring back all of the classic units, including those from Aftermath, and to recreate the very "feel" of its art style. With The Red Alert, epic tank battles, MiG attack runs, and Cruiser strikes will be more than just fond memories — they will all be weapons in your arsenal once again! It was released on September 21, 2011 and was ranked the number one mod on Moddb. It's time your memories were 3D! 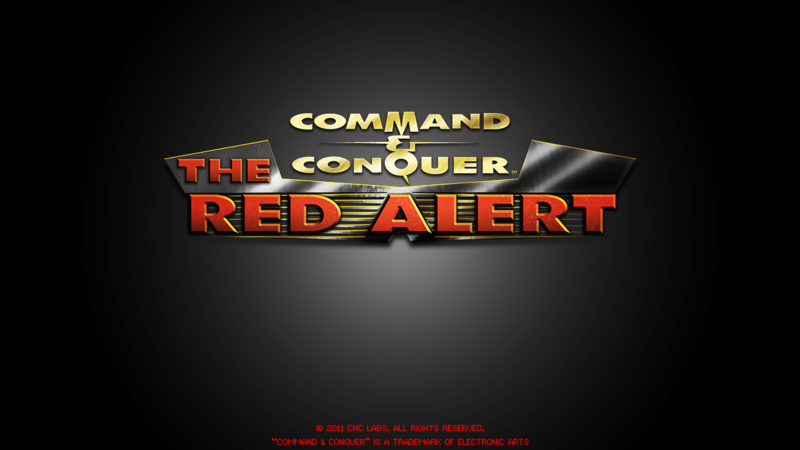 This is the full version of The Red Alert, a mod for Red Alert 3 that restores the original Red Alert title from 1996 to the full glory of a modern 3D engine. Within, you'll experience the classic Cruiser strikes, deadly MiG attack runs, and epic Mammoth Tank columns in an even better form, thanks to fully remastered music and a vastly improved skirmish AI. Whether you're just looking for a fun RTS game or you've been a C&C fan since its inception, this mod has something to offer you. It's here!!! It's here!!! Downloading right now! Woah, I anticipated this mod to be around 800 to 1000 mb! I am pleasantly surprised. No FMVs makes this one a bit smaller than The Forgotten. Great mod !!!! i love this original, why does allies don't have support powers like soviets ? does it works for singleplayer to? or its a multiplayer mod? There is a very challenging skirmish AI. Nice mod, experience good old Red Alert again, tried on skirmish. If someone just could host that game online. Nice work.Everything is great.I just hope you keep improving it. Simply awesome! As a modmaker I know how much time you guys must have put into this project, thanks for taking time to do so! Why should that be included? The fog of war matches RA1 behavior. The black fog of war (IE not seeing "anything" on the map before exploring it) does, but the fog of war where you only see terrain and not what is going on in x area is not RA1'listic. Just got done with a round. I missed Chronosphere-harvester trolling. I really did. -Edit: Nevermind, I got it working...after clicking on play several times during the looping ui. A bit odd. Must be just me. Likely, I've got the Steam version of RA3 as well (Win7 x64 also) and it launched just fine for me here. One question, does it work with multiplayer? does this work with ra3:uprising? Uprising does not support mods, so it only works with the regular Red Alert 3. I've downloaded this mod but no matter what I do it crashes so I was wondering if you knew how I could get it to work. Your original install of RA3 might corrupted (it is legit, right?). Try reinstalling RA3. Base defenses automaticlly shoot enemy BUILDINGS. Just set the stance to "Guard"
I can't seem to get this to launch. I have the steam version of RA3 and when I launch via "The Red Alert\" icon, it shows the RA3 splash launch, and then just closes that down. Then nothing, Ideas? Add -modconfig "C:\Users\USERNAME\Documents\Red Alert 3\Mods\TheRedAlert\config.txt" to your STEAM launch options replace the quoted part with your directory path. Worked great on windows 7, replacing the bit above to point to the correct directory. I did what you suggested this **** doesnt work for me! I LOVE YOU TO DEATH! i still have the original RA1 CDs and i just finished the game again like a month ago. From the little I've seen so far you guys did an amazing job with this!! now, time to download and get an nostalgia attack again! NO LO PUEDO CREER!!.... LO DESCARGO, LO PRUEBO Y COMENTO..!